Everyone's human. Even me. Sponsored by "LD Products coupon"
Everyone’s human. Even me, dammit. Convention season kicked off with Scott being a Special Guest at WonderCon this year. It was in Los Angeles, which was a nice, short hop, but it was still a working weekend for both Scott and myself. That means all the guest duties for Scott, plus writing every day in his room in between con stuff. It’s pretty common for him to be working away on a deadline while at a con. Here’s the human part: the week before WonderCon, I’d caught walking pneumonia. I’d been checked out by my doctor, giving a bucketful of scripts, and slept most of the week while recovering. I’d also been advised that while my doctor wasn’t too concerned, I would need to be careful and “respect the recovery”. I’m the kind of gal who likes my science hard, and that sounded pretty soft, so I nodded dutifully and promised I would. When my fever finally broke the day before we were to leave for WonderCon, I was thrilled that I was recovered and could go. Nevermind that I couldn’t walk up the stairs at home, or that I’d been put on exercise restriction for three weeks. I was fine! Recovered! No problems! If you’ve not had the pleasure of pneumonia, let me say I got off pretty lucky. I had “walking pneumonia” which is just another name for mild pneumonia, and I was able to get treatment early in my illness that helped immensely. Still, pneumonia is serious business, as it generally feels like you have an elephant sitting on your chest every time you try and inhale. And coughing feels like setting fire inside your lungs. But other than that, no big deal. So how did I do at WonderCon, being “recovered” and all? Yeah, not so good actually. Honestly, I’m not really sure I can say I “did” much of WonderCon. I did sleep around 18 hours a day. I did miss half of Scott’s panels because I couldn’t walk fast enough to keep up with the crowd. (Yes, the con crowd. Moving at top speeds of a quarter mile an hour!) I wasn’t even comfortable walking alone because of how slow I was going. Ooooof. Plus I got very little other work done, because I was sleeping. I should have stayed home, but I didn’t, because I thought I could just “push on through”. Now I know that is not a thing you can do whenever you want. Didn’t get enough sleep last night and are operating on two hours snoozing? No problem — have a venti Americano and push on through. Have a mild form of a serious health issue? Maybe not so much. Maybe listen to your health care professional. I’m happy to say I’m well recovered now, and am doing my best to catch up on the ten days of work I missed by trying to push on through. I’ve learned to be happily human and next time I’ll respect my recovery. And I’m hoping I’ve appeased the con crud gods for this season at least. Accidentally print almost 100 pages in color this week like we did? Don’t worry! Use our LD Products Coupon SCOTT15 to save 10% on your reorder and resupply! It’s too easy! 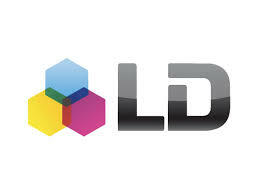 Ju st use our LD Products Coupon page for all your discounted printer ink and toner, for inkjet or laser printers needs. No matter the printer, no matter the color of ink that you need. Don’t wait another minute — check out our GoDaddy Coupon page, where the code CJCSIGLERP saves you 30% off your entire order of new product. • And don’t miss the great big savings you can get by visiting our Moosejaw Coupon page! Save 10% off already discounted merchandise with the code SIGLER — springtime wardrobe here we come!